Notes: Translator: Emami, Karim. 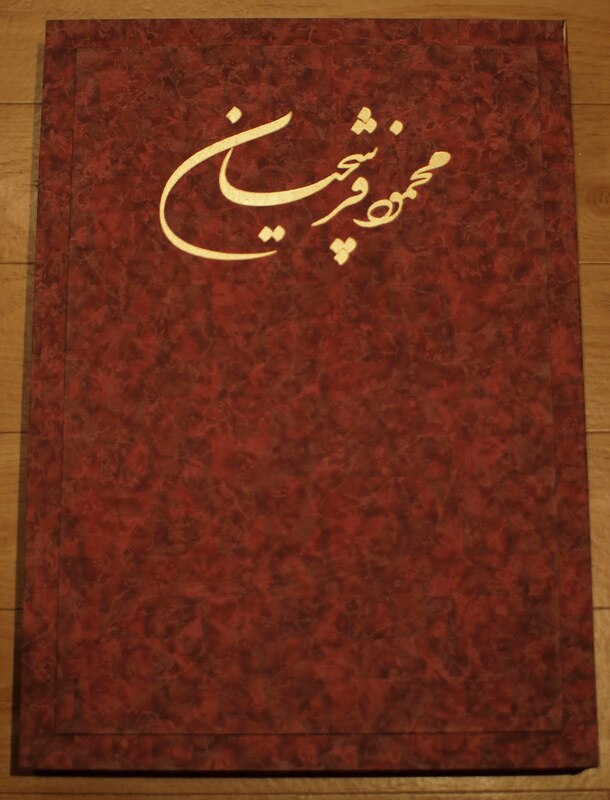 Publisher: Negar Publishers, Iran. Comments: This book came into my life in a very round about way. A pair of my friends moved into an apartment in 2006. On the first day they moved in they found that the previous tenants had left behind a lot of books. Medical text books, and a skeleton. The previous occupants where a pair of Iranian medical students. They also left behind this book that is now counted amongst my books. 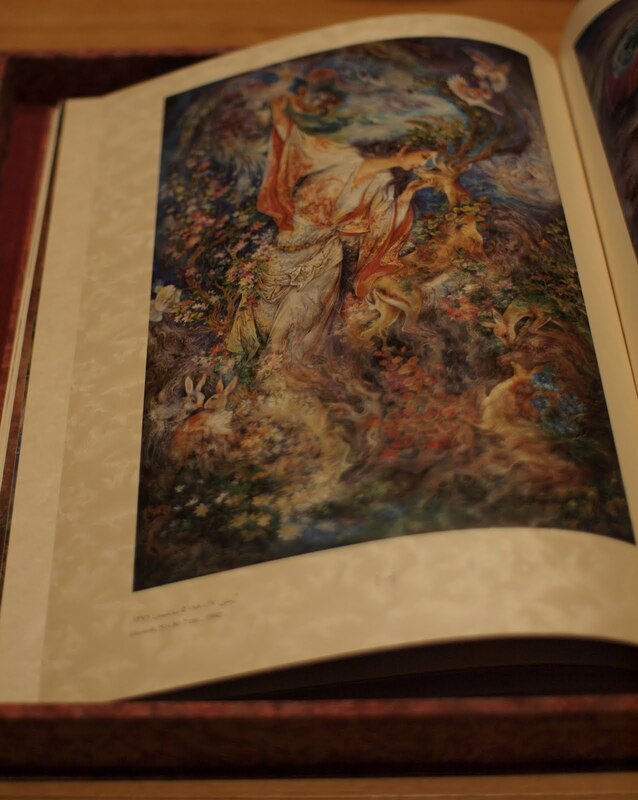 It is a book of artworks by the Iranian artist Mahmoud Farshchian. It is full of beautiful, eastern, ornate images of people and nature. The book is over 50cm high and 36cm wide. The size of the book and the pearlised pages imbue me with a sense of awe that makes me fall in love with illustration all over again. My friend gave me this book for my birthday this year. 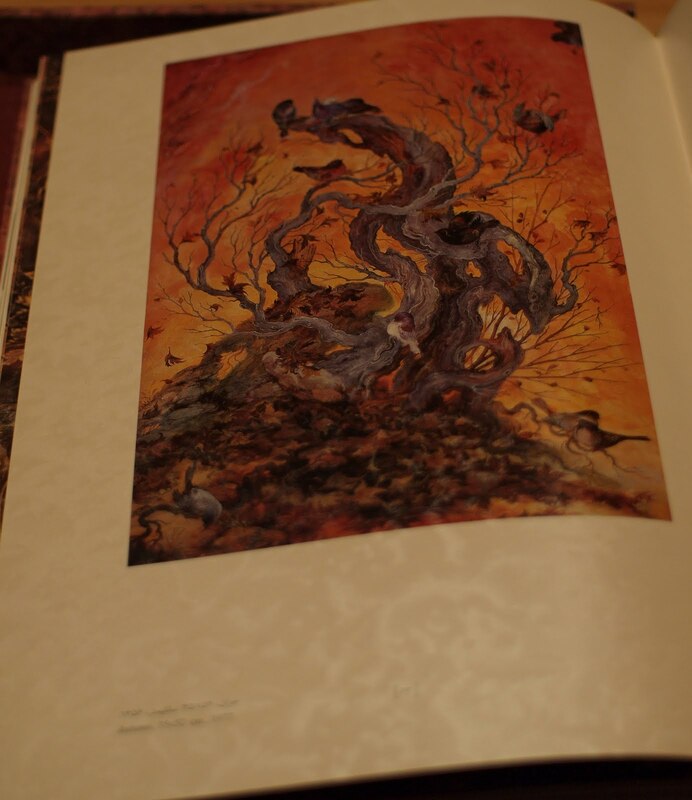 I might treat myself to this soon: Selected Paintings of Mahmoud Farshchian .